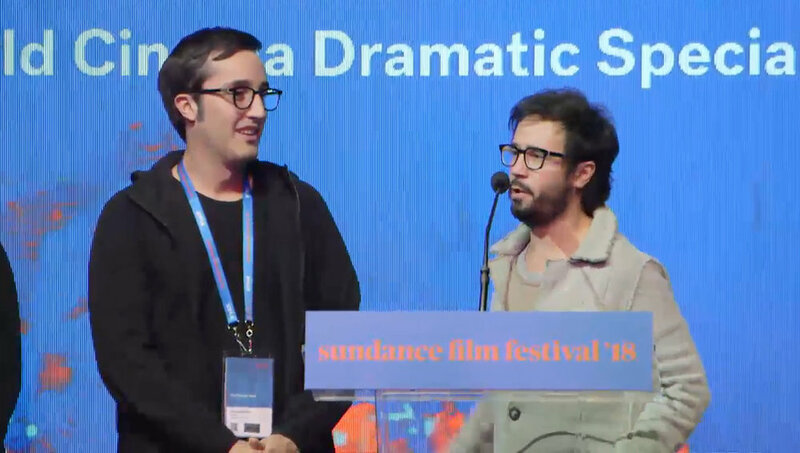 Two Latin American films, from Mexico and Argentina, were awarded this evening at Sundance's World Cinema Dramatic competition. The Special Jury Award for Screenwriting was presented to to Julio Chávezmontes and Sebastián Hofmann for Time Share / Tiempo compartido from Mexico, while the Special Jury Award for Acting was presented to the Argentine actress Valeria Bertuccelli in her directorial debut The Queen of Fear / La reina del miedo, co-directed with Fabiana Tiscornia. In Hofmann's Time Share, starring Luis Gerardo Mendez, Miguel Rodarte, Andrés Almeida, Cassandra Ciangherotti, Monserrat Marañon, and R.J. Mitte, two haunted family men join forces in a destructive crusade to rescue their families from a tropical paradise, after becoming convinced that an American timeshare conglomerate has a sinister plan to take their loved ones away. In The Queen of Fear only one month left until the premiere of The Golden Time, the long-awaited solo show by acclaimed actress Robertina (played by Bertuccelli). Far from focused on the preparations for this new production, Robertina lives in a state of continuous anxiety that turns her privileged life into an absurd and tumultuous landscape. Other Latino winners include filmmaker Reinaldo Marcus Green, winner of the U.S. Dramatic Special Jury Award for Outstanding First Feature for Monsters and Men, and Rudy Valdez, who won the Audience Award in the U.S. Documentary competition for his film The Sentence. The 2018 edition of the Sundance Film Festival took place January 18-28 in Park City, Utah.